Need a paper written for you? 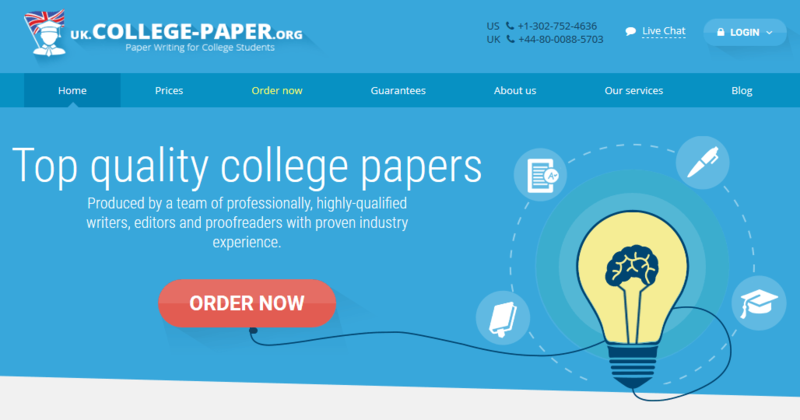 UK.College-Paper.org say they can handle it and take the stress off your shoulders. Should you use them? Read on to find out if they’re the right service for you. At time of writing, there are just under 75 writers working for this service, 18 of whom are from the UK. There are 44 writers with Masters degrees, and 12 with PhDs. This isn’t the largest writing pool we’ve seen, but the bigger problem is that there’s so few writers from the UK itself. For a UK based service, that’s rather worrying. Can the writers here really understand your needs as a UK student? 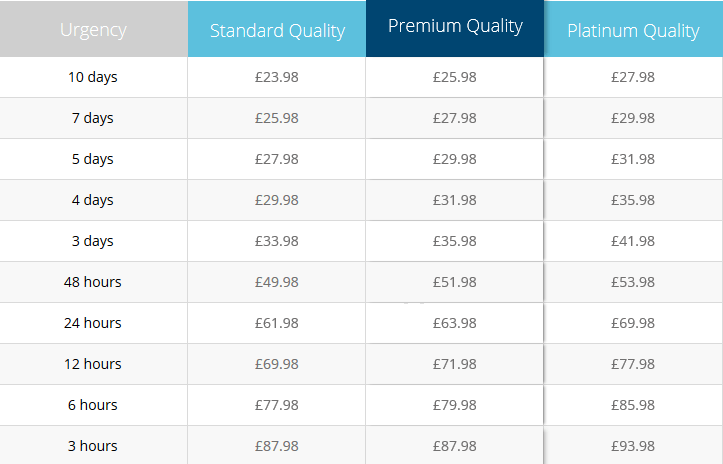 When you check out the guarantees on the UK College Paper website, you’ll see that there’s a guarantee to protect your privacy as a customer. They say your data will never be sold onto third parties, and that payments are taken through encrypted channels to ensure your money is safe. There isn’t any information on how your data is used, but it’s clear that if you use them, your data will be kept secure, ensuring your privacy. No matter who you order from, you need to know that the writers can put out the best quality possible for you. This service says they write excellent essays every time, but is this true? We’ve looked at samples and reviews from past customers to put this to the test. It’s clear that in some cases at least, the writing is less than impressive. It seems that some essays are delivered without essential components, such as the bibliography or proper citation styles. This isn’t ideal when you’re paying for an essay. As with most writing services, prices will vary depending on what exactly you need. As an example, take a 2-page undergraduate essay that’s due in 10 days. With this service, you will pay £23.98 GBP. You can get a 25% discount off that price too if you’re a first time customer, perfect if you’re trying to save money. However, be aware there are no additional services on offer. If you need help with your order, there’s a customer service team ready and waiting 24/7. They can help with refund queries, help with ordering, and more. Be aware though, many customers have pointed out that when they got in touch, they had to wait a long time for anyone to get in touch with them. When you’re up against a deadline, you don’t want to be waiting for help.